Home > Blog > How To Shift Your Marketing Team to Data Science and Marketing Technology? Data-driven marketing has transformed from an innovative approach to a fundamental part of digital marketing, performance, automation and most importantly business strategy. 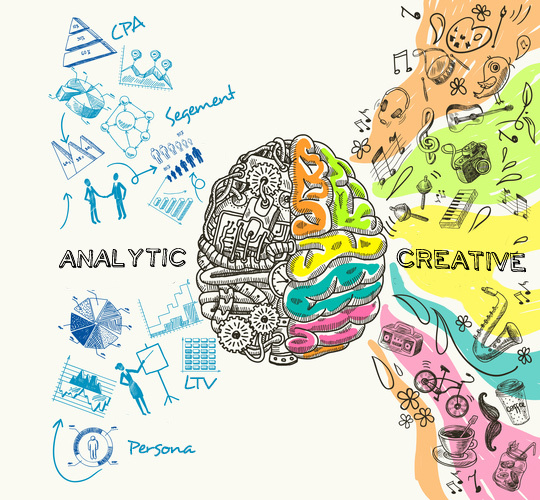 A few years ago, most of the digital marketers were more artists than scientists. Although creative thinking is one of the most required talents in the marketers but let me tell you, the future is so soon and we are getting more and more data about our customers every day. Digital marketing is now based on the data more than before, and the need for data analytics and marketing technology is essential. Over the course of my career in various entrepreneurial and marketing roles —in a wide variety of fields— I’ve discovered that any marketing team without advanced marketing analytics are helpless and certainly going off-track. Relying on marketing technology to extract and analyze all relevant data can help the marketing team to accomplish tasks they couldn’t before. Collecting consumers data on every level internally and externally will allow the marketer to interact and target consumer intelligently and define the most efficient budget allocation that can bring ROI for the organization. Data science is fundamentally changing the way we view and interact with digital marketing functions inside companies. It’s had an enormous impact on the digital marketing department set of objectives and functionality within the organization. With professional data analytic team on board, you can accomplish several new tasks that you didn’t encounter before. Empower management and investors to make better decisions with online insights and analysis. Connect business objectives more efficiently with marketing performance. You can track the marketing ROI and get the ability to invest more sufficiently in growing your customer base. Identifying the customer’s persona by analyzing the online funnel and consumer journey. This can help businesses in developing their products, enhancing customer support and improving sales efforts. Building data-driven approaches to reach prospects in strategic, scaled ways. Understand how we can grow is the most important topic for senior management. Personalizing campaigns to generate more add value and better relation with the customers and to leverage your brand voice in the market. Approaching clients effectively by highlighting products and content that solve specific customer pain points and interests which would lead to more sales. Optimizing the marketing budget and advertising spend by investing efficiently and tracking intelligently (Which is a major headache for decision makers). Challenging the digital marketing team to adopt best practices and focus on achieving ROI by following accurate KPIs. Benefiting from AI and Machine Learning technology into the marketing department which keeps your team highly strategic and more accurate with future planning and forecasting results. The new role of the CMO is to maximize the benefits of market and consumer data for the whole organization. Marketing is not limited anymore to attracting consumers or establishing new markets expansion, it is now a key player in building the business strategy and decision making. Digital marketing case: The CEO is totally convinced that my digital department task is to drive qualified leads while I insisted that we can help with investing decisions. We analyzed the location-based data for many retail points and were able to come up with effective insights on where we should expand and how to customize our services for each location. The data collected from CRM, website analytics and social media trends were very effective in exploring the gaps and fixing it. Building new schemes for data, sharing insights and providing real-time feedback to other departments is becoming one of the most important functions of the marketing department and CMOs. It is not anymore the game of promoting services and products, but it is expanding to calculate ROI effectively and enhancing the business structure. Machine learning, data science, and predictive analytics are the new, increasingly crucial complements to traditional marketing best practices. But they require new technical talents on your marketing team, specialists who can bring science into each step of your marketing process. That requires a mindset shift in how you manage in marketing a data-first world. 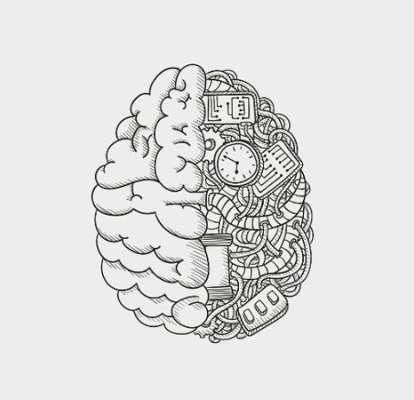 Experimental Mind: A critical part of our mindset shift with using new technologies and analysis tools includes fully embracing testing and experimentation. You should put this approach to work as part of your efforts to generate leads, create a user experience and distributing your advertising budget among paid channels.Given the huge volume of performance data and the need for real-time optimization, data analytics and machine learning will become the core of your campaign success. These tools enabled us to test hypotheses and make targeting decisions at the campaign level rather than the channel level—something marketer couldn’t have accomplished manually. Statistical Mind: A critical part of our mindset shift with using analytic tools includes fully embracing statistics over prejudgements. The experimentation of extracting data about your qualified leads can totally shift the way you are tailoring your content strategy or marketing message. Digital marketing case: Take the challenge of knowing who, of the people who sign for trial version, will convert to paid users. Typically you would need to wait weeks and different assumptions to understand which campaign was successful. Relying on likes and views might give you an indication of your most popular content but at the end ROI is ROI. With advanced analytics and machine learning, we’re able to know the likelihood of a channel bringing in the right people to lower funnel, significantly improving ROI. Technical Mind: Marketing technology tools help you make better decisions by uncovering the information relations, context and flow at a level of granularity that wasn’t possible before. However, marketing technology is getting more and more sophisticated thanks to E-commerce major demands on technology and machine learning.Back in time, digital marketing team used to rely more on creativity and no wonder the field was full of advertisers moving from traditional to digital along with the shift in the budget allocation from traditional to digital.Today, digital marketing is becoming more technology-centric which require marketers to be more solid in data science, analysis, and strategy.Yes, digital marketing teams should hire a marketing technologists who are able to configure platforms and marketers who are able to deal with complicated tools such as marketing automation platforms and programmatic advertising. Your team of marketers should combine the skills of creative thinking and advanced analytics “the marketing and the science”. This is where I see the next wave of marketing innovation. What should we learn the most? Insights are more important than data: Focus on extracting the right insights that matter the most. The analytic team should be connected tightly to the business objective. Break your business needs into smaller, discrete questions. Rather than trying to drive more overall traffic to your website, for instance, focus on driving repeat visits within a particularly valuable segment. Optimize the data process and availability: Capturing and managing data in a consistent manner throughout the organization. But remember that it can quickly become overwhelming, especially when you’re working across different countries and regions. Focus on establishing reliable and accurate data sources: One team may input data that are incompatible with another team’s data, making it difficult to analyze both sets in consistent ways. Maintain data sources and access: Focus on data integrity in how you collect, manage, and store information, you’ll avoid longer process for decision making and spending time figuring out how to compare apples to oranges. This is my contribution, feel free to get a free ask questions or request for marketing analytics consultancy.